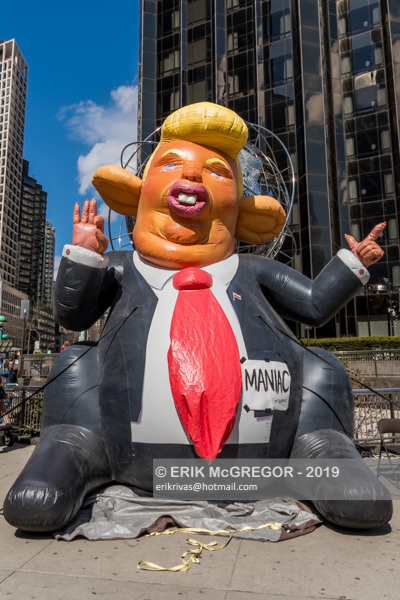 New York, NY – As part of a weekly protest, Artist-Activist George De Castro Day deployed a giant, inflatable art piece depicting Donald Trump looking like a rat outside Trump International Hotel and Tower at Columbus Circle on March 18, 2019. 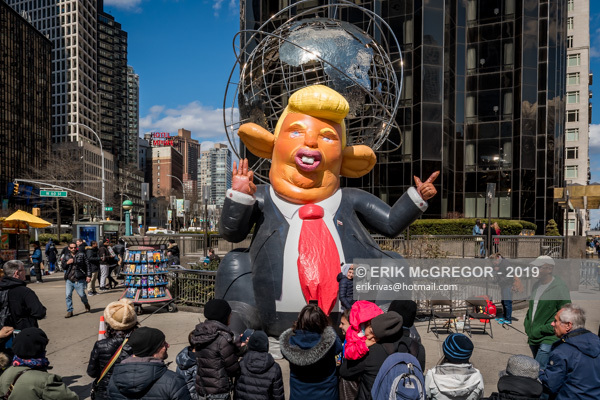 People were thrilled to see the Trump rat and were clicking selfies with it. Twitter is flooded with Trump rat photos and many have ruled it’s better than Trump Chicken. NYC art gallery BravinLee commissioned the enormous (and mildly terrifying) work of “art” as “an enduring sign of resistance and ridicule.” The peice resembles the labor unions’ inflatable rodents that can often be spotted parked at non-union construction sites around the city, but this one is wearing a suit and tie. And of course, it sports Trump’s infamous hair ‘do. US President Donald Trump has always inspired artists around the globe, however, not for the right reasons. 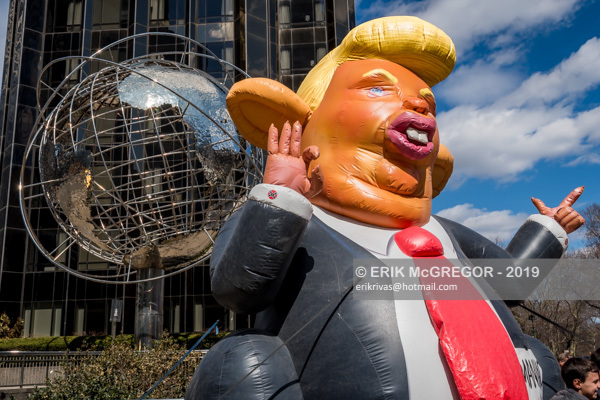 And after a giant inflatable chicken replicating Trump was seen in the vicinity of the White House, it’s time for a rat now. 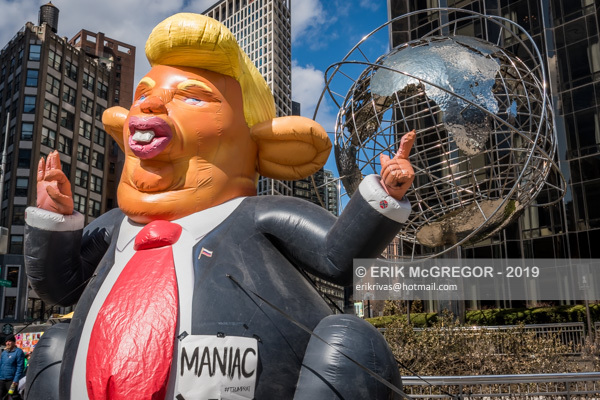 Yes, after Chicken Don or the Trump chicken, Trump rat is the latest spectacle that has gripped the nation. 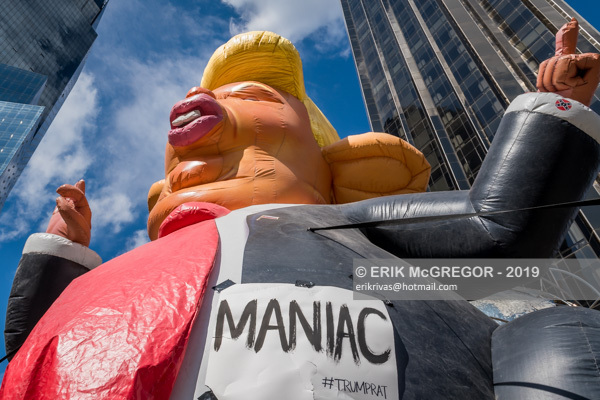 The piece — featuring a rodent-looking Trump wearing his signature red tie and coiff — went up around 12:30 p.m. outside Trump International Hotel and Tower at Columbus Circle. 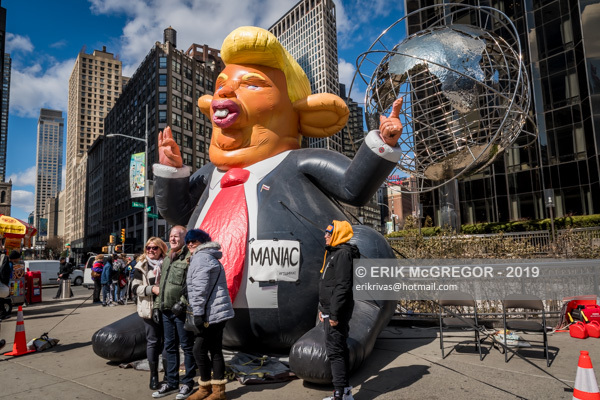 The rodent in a black suit, which is very similar to the labour union protest rat has been customised like the POTUS. The 15-feet rodent is pastel orange in colour and dons Trump-like golden hair and wears a red tie. Unlike POTUS, it, however, wears a Russian flag pin and has been decked with Confederate flag cufflinks. 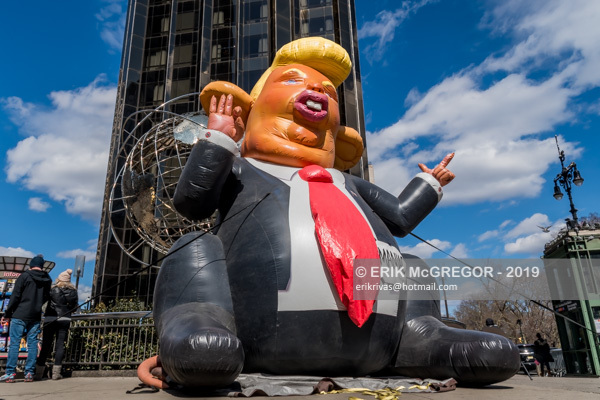 The rat has a protruding teeth and the ‘tiny’ hands gesture very similarly to Trump .